The X7016 15.6 inch Stainless Steel Harsh Environment Touch Computer (HEC) is built using STX’s Proven Harsh Environment Technologies. This Tough and Rugged unit with 15.6 inch Touch Screen is a standard off-the-shelf product which is fully Customisable to suit virtually any environment. Designed and Manufactured in New Zealand, the X7016 has Demonstrated Reliability across a number of different applications in Australia and New Zealand including Food Processing, Meat Production, Fish Production, Fertilizer Manufacturing, Dairy Industries, Cow Sheds, Transport - including Tankers, Forestry - including Log Haulers & Milling and many other environments. 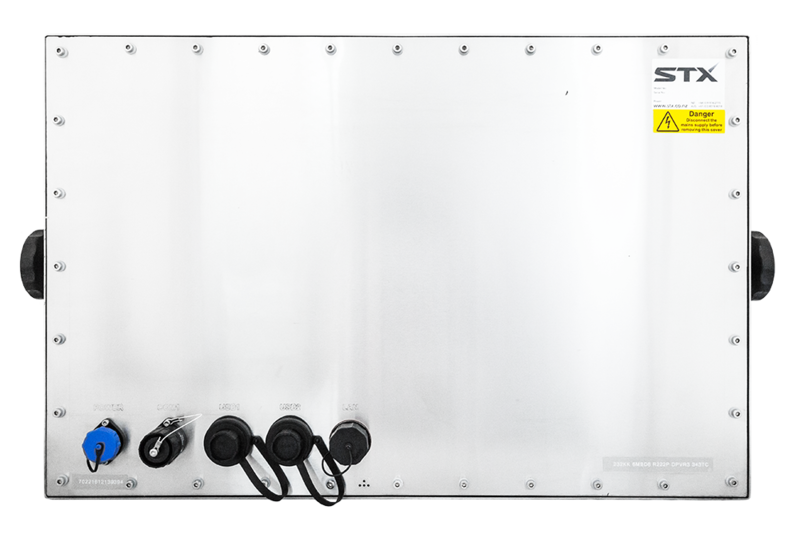 High Quality Industrial Components combined with STX’s Extensive Experience in Harsh Environment Computing, Touch Solutions and Industrial applications ensure the X7016 Harsh Environment Computers are Built to Perform in Rugged Demanding Environments. 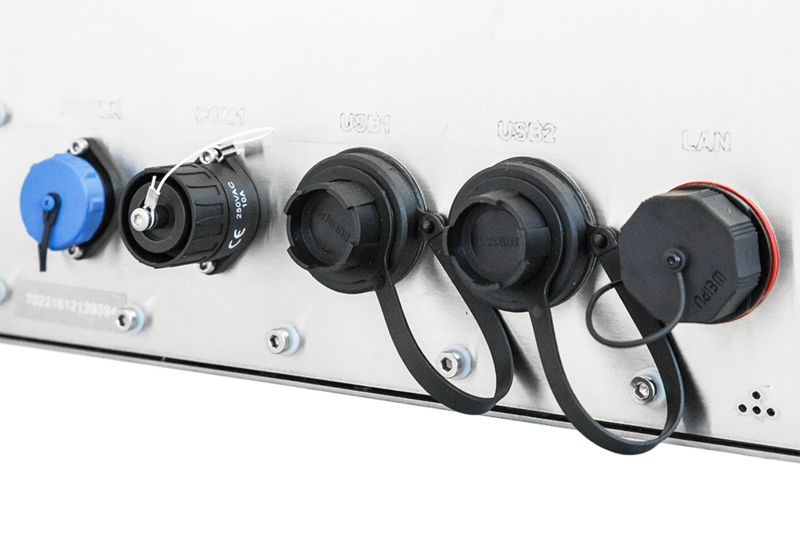 The X7016 is Built with High Quality Industrial Components including specially designed IP67 / IP68 connectors which offer a high level of resistance against water and dust ingress. The X7016 also has a sacrificial touch membrane to protect the touch sensor and can be easily replaced in the case of damage from knives or abrasives. 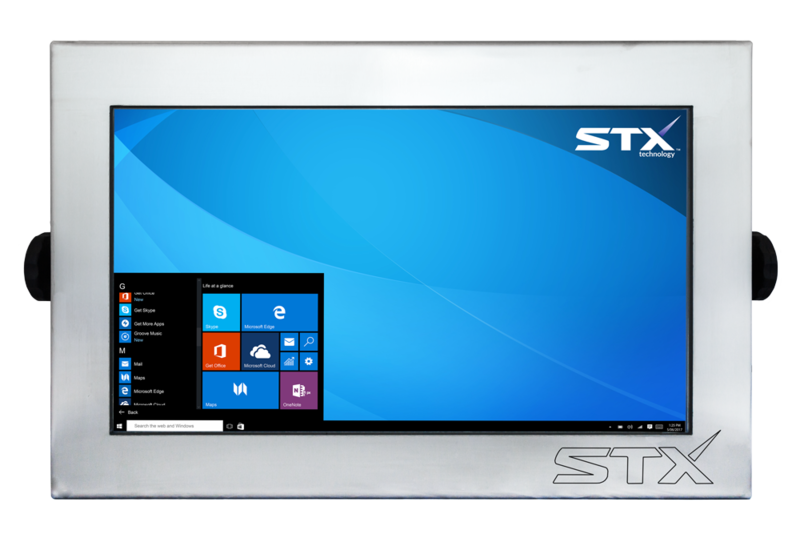 STX’s wealth of experience in Harsh Environment computing the X7016 has proven itself in the harshest of environments. The quality and integrity of the X7018 ensures sustained reliability and performance. 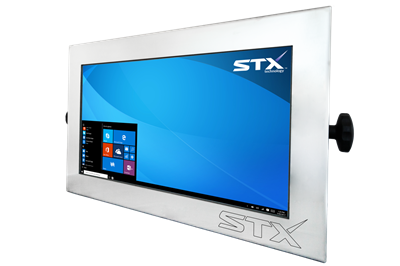 The X7016 is part of STX’s X7000 Standard off-the-shelf Product Range. The X7016 is offered standard with M10 side mounting bolts, 4 RS232 / 1 USB / 1 Ethernet ports, 4GB RAM, 2.4GHz Intel® Quad Core CPU in a Brushed 304 Stainless Steel. The flexibility of the X7000 Range ensures cost effective customisation to suit virtually any environment. 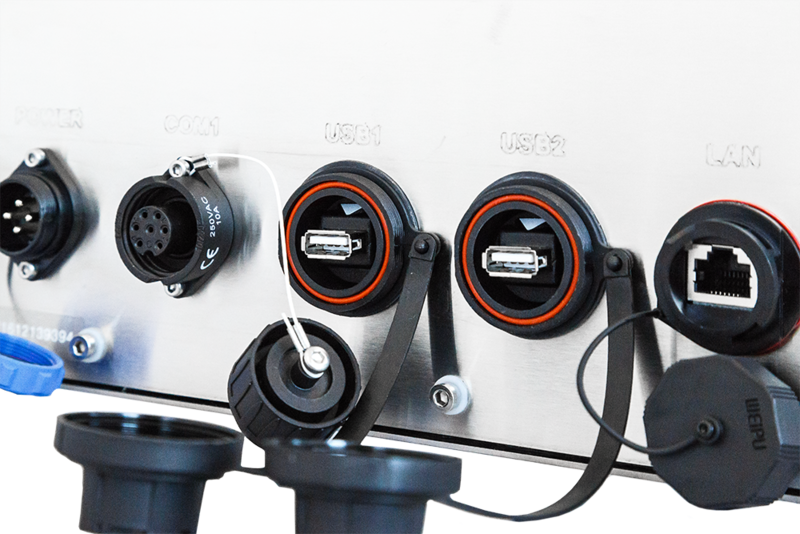 This includes a range of different mounting options, built-in barcode scanners, RF modules, Wi-Fi, Bluetooth, 3G, GPS, touch & non touch options, and a range of different connectors and cabling options.